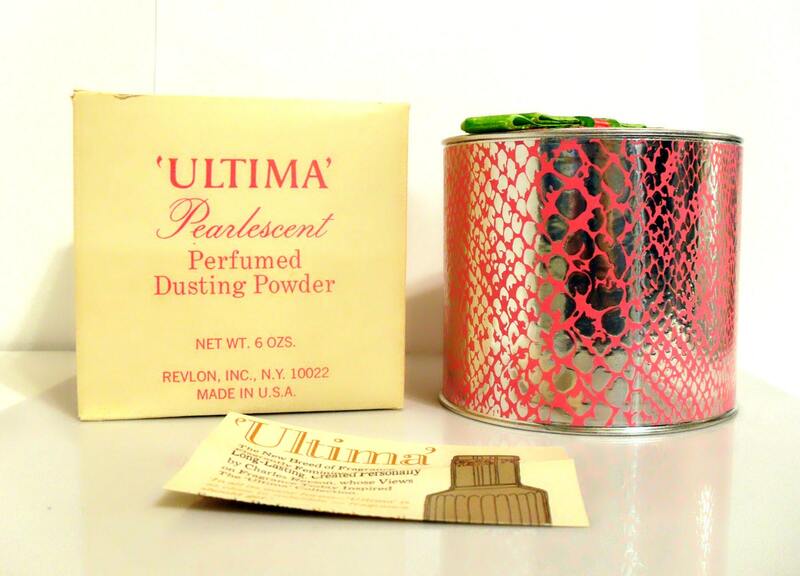 Vintage 1970s Ultima by Revlon 6 oz Pearlescent Perfumed Dusting Powder in Box with Puff SEALED Never Used! 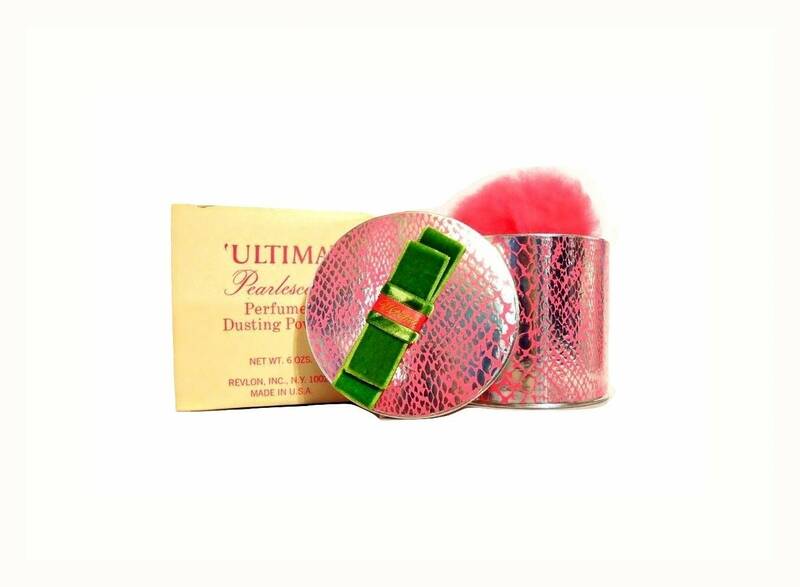 The powder box is cardboard with a hot pink background and is printed with a silver metallic foil reptile skin pattern. 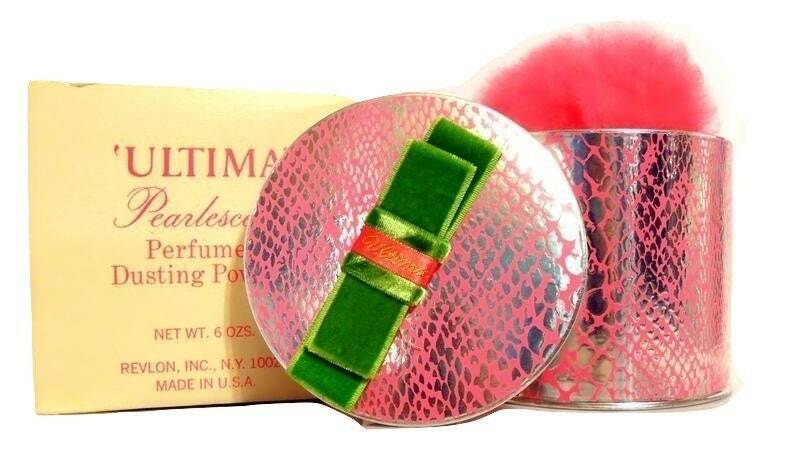 The powder is still sealed, it was never used. The large hot pink wooly powder puff is included. As with many old powders, this may have lost much of its scent over the years, so I cannot guarantee how good it will be after 40 years. It may or may not be suitable for usage after all these decades, so I am selling this for the box and not what is contained inside and not not returnable due to any loss of scent. This is such a kitschy looking package and it would make an awesome display piece on your vanity or if you are a set dresser, a perfect psychedelic prop for your 60's themed shots. 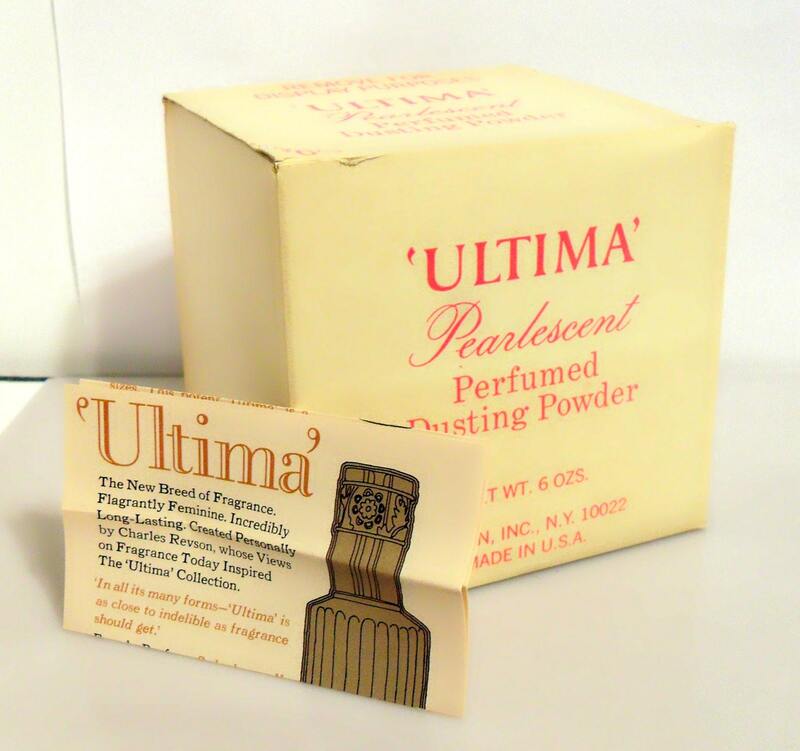 Launched in 1961, Ultima is classified as a spicy oriental fragrance for women. Top notes: aldehydes, bergamot, apple, fruits and spices. Middle notes: cinnamon, pimento, carnation, rose, jasmine and orchid. Base notes: amber, benzoin, civet, patchouli, opoponax, sandalwood and vanilla. 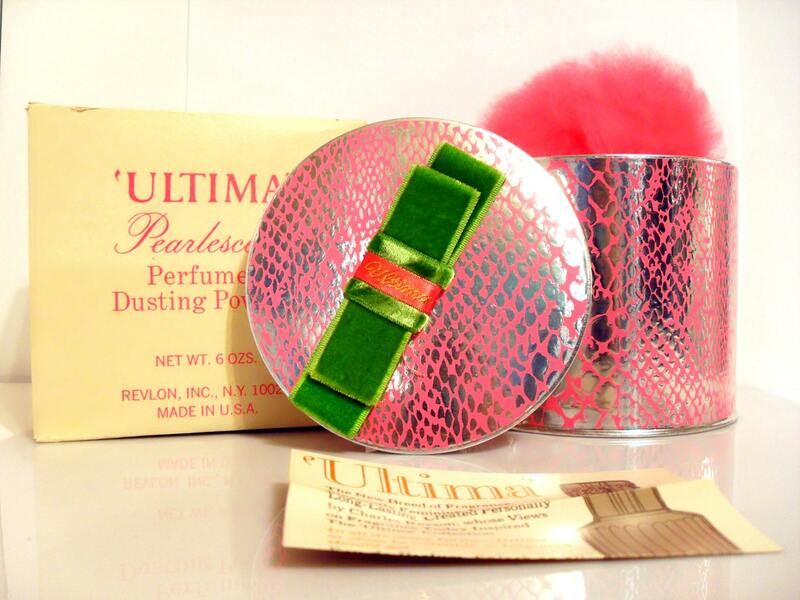 Revlon's Ultima Collection sports sophisticated pink and silvery reptile cases, from Enriched Body Lotion ($5.50) to The Baggerie, a deluxe duffle bag containing Spray Bath Powder, Eau de Parfum Spray, Enriched Milk Bath, Enriched..etc"